Have you been putting off those annoying cosmetic car repairs? Come in and get them fixed. After we perform a service on your vehicle (any service) we will enter you in our contest. We are giving away a $300 gift card to the first place winner and the runner-up will receive our Pot of Car Care. 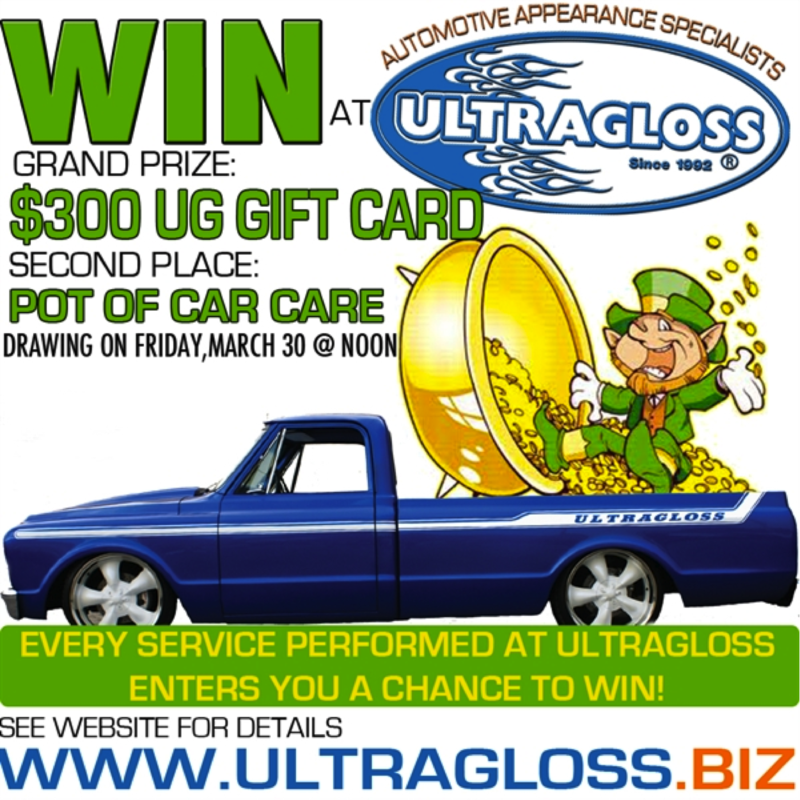 Every service you have completed at Ultragloss (from any of our divisions) will enter you in our contest. Our Pot of Car Care is a combination of some of our best car products and customer favorites. A nice wax, car wafers, and more… Stop by to see! The winners will be drawn and announced Friday March 30 at noon! 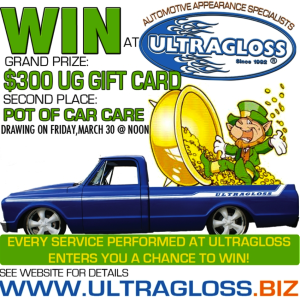 The $300 Gift Card can be used towards any service Ultragloss offers. Just in time for spring. If you have any questions, call the shop: 330-252-9011. Happy Saint Patrick’s Day everyone—Be Safe!